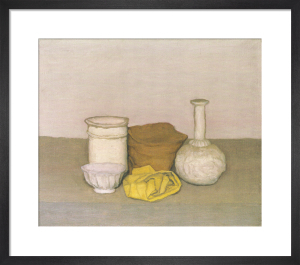 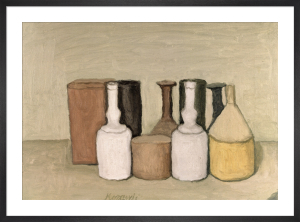 Giorgio Morandi (1890- 1964) was a master of still life painting. 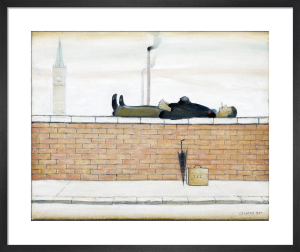 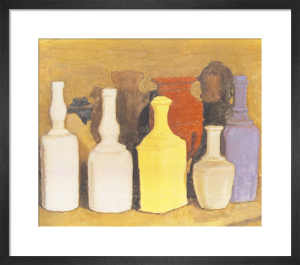 He depicted simple forms like vases, bottles, bowls and flowers with a unique attention to composition. 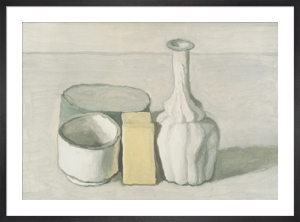 Using a distinctive limited colour palette, Morandi painted the same objects again and again, developing complex relationships between the forms. 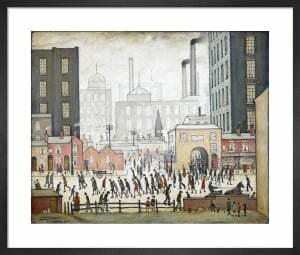 His subjects seem to huddle together in an almost animate way. 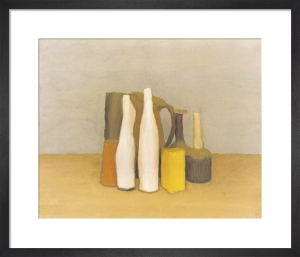 Morandi painted these familiar objects in his bedroom studio at Via Fondazza in Bologna through almost the whole of his career. 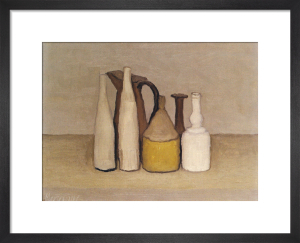 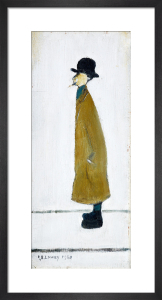 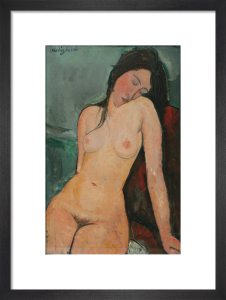 Our Morandi collection celebrates this artist's simple yet sophisticated style.